Jerusalem - Mourners by the thousands flocked to Jerusalem on Tuesday for the funeral of Rabbi Refael Shmuelevitz who passed away on Monday at the age of 78 following a lengthy illness. 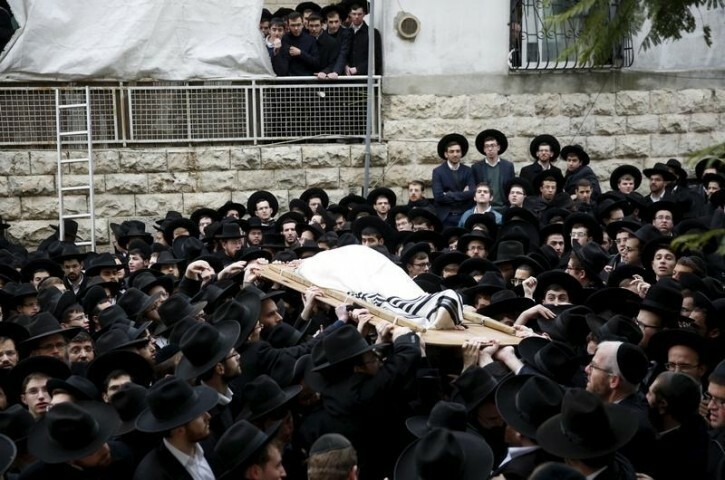 Rabbi Shmuelevitz, who served as Rosh Yeshiva at Jerusalem’s Mir Yeshiva, suffered for years from Amyotrophic Lateral Sclerosis (ALS) and Myasthenia Gravis. Son of the famous Rabbi Chaim Shmuelevitz, the Poland-born Refael fled the country after the Nazi invasion, following Mir Yeshiva to stops in Lithuania, Japan, and Shanghai before ultimately settling in Israel. As reported earlier by VIN News, as part of a pioneering stem cell trial for ALS sufferers in 2012, Rabbi Shmuelevitz temporarily regained his ability to walk and speak clearly, but ultimately his illnesses took their toll. Back to the main point....I wish I could have heard a Shiur or shmuze from Reb Rephael ZTL...Anybody know if there is anything online from him ?